Good news for residents of Pickering looking for a better night’s sleep! Mattress sale Pickering is on NOW! A quality brand mattress can have a major impact on your energy levels, health, and happiness. Combine all of these things, and you get a better outlook towards life. Mattressville is known for being a trustworthy mattress store, and we’re the number one option in Pickering. Our wide selection of quality brand mattresses in Pickering and surrounding areas are sold at discounted prices. A bad mattress can be the cause of several sleep-related health problems. Luckily, we have mattresses, such as the memory foam mattress, that cater to specific health issues. At Mattressville, we provide all of the top sleep products. Our team of knowledgeable sleep experts will help you every step of the way. By considering your specific needs and budget, our staff will find you your ideal mattress. 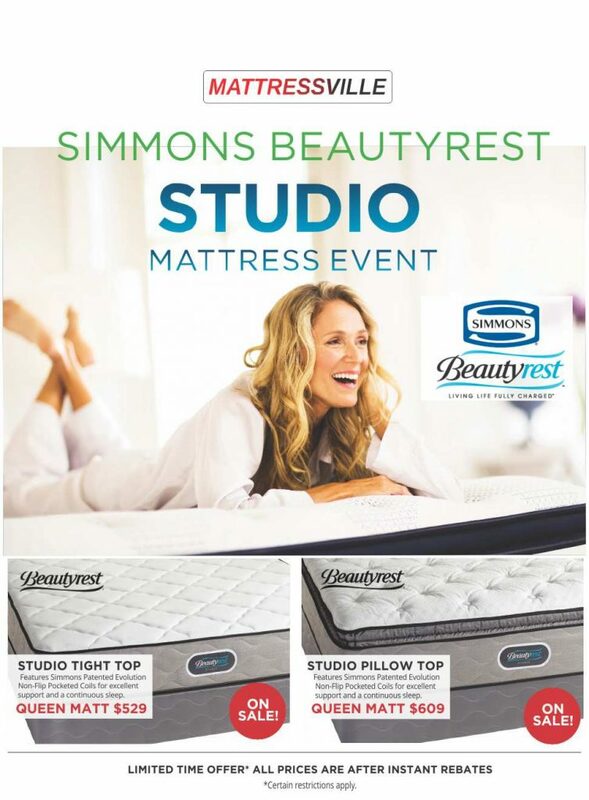 Mattressville has all of the most trusted brands, including Stearns and Foster, Tempurpedic, Serta iComfort, Simmons Beautyrest, Sealy and more. At Mattressville, we have the products and prices to fit everyone’s needs and budget. Our loyal customers of the Greater Toronto Area have voted Mattressville the “Best Mattress Store”. 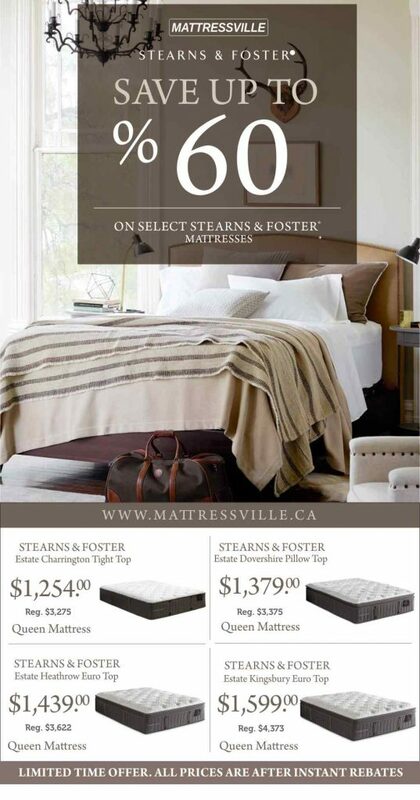 Mattressville offers free delivery to all customers in Pickering on orders over $499! Our products, services, and prices are all unmatched! Our team of friendly sleep experts will advise you every step of the way. For us, customer satisfaction is the number one priority. We handle the entire mattress sale process with the utmost professionalism. Mattressville offers a wide selection of products, where you’re sure to find a bed that suits your needs. Check Out the Top Mattress Sale in Pickering by browsing our selection online. While other mattress stores may offer some of our products, they won’t beat our prices. Mattressville not only has all the major brands, but also all of the discounts! Plus, our customer service is unmatched! For businesses both large and small, Mattressville offers quality brand mattresses at wholesale prices. Whether it’s a mattress for a guest room, cottage, hospital or a hotel mattress, Mattressville has what you need! 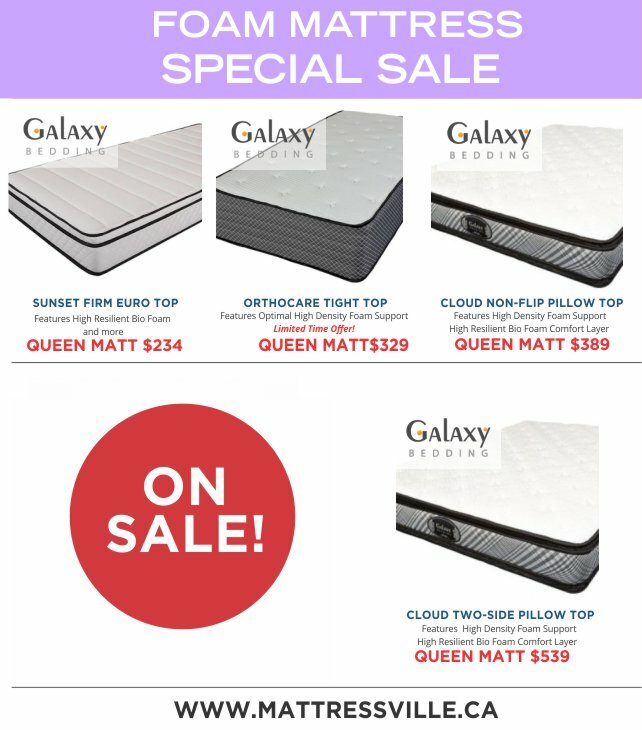 So, for the highest quality products at the lowest prices, it’s time to check our mattress sale in Pickering. Give us a call today! 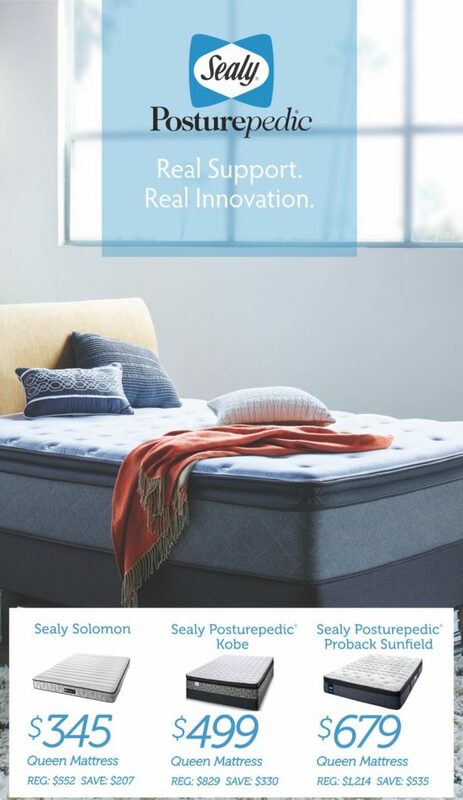 For more information on our mattresses or any of our products, please feel free to call: 905-212-7722 or email us using the contact form below.